The second race on the card on Cheltenham Gold Cup day is the Vincent O’Brien County Hurdle. It is one of the toughest handicaps of the week for punters to unravel. Paul Nicholls has trained the winner on four occasions, most recently with Lac Fontana in 2014. The last outright favourite to oblige was Master Tern for Jonjo O’Neill in 2000. The average SP of the last eight winners has been more than 20-1. Desoto County and Great Field have the dubious honour of heading the ante-post betting market. Gordon Elliott trains Desoto County who won easily at Thurles in December. He was put up 10lbs for his next run in the valuable Coral.ie Hurdle at Leopardstown in January. He was given a lot of ground to make up that day and finished strongly in third behind Henry Higgins. He is set to race off an 11lbs higher mark in the County Hurdle. Great Field is trained by Willie Mullins who sent out Wicklow Brave to win this race last year at 25-1. 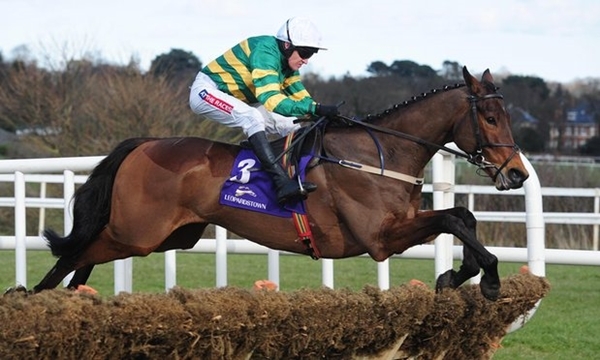 Great Field is difficult to assess after winning comfortably on his UK debut a Leopardstown in February. The runner-up is rated 135 so Great Field could still be leniently treated off a mark of 147. Blue Hell is another Irish raider with claims after winning at Fairyhouse in November. Alan Fleming’s six-year-old readily accounted for Diamond King by three lengths but the handicapper has taken a dim view of that success. He must race off a 22lbs higher mark in the County Hurdle. Superb Story won at Wetherby in October before chasing home Old Guard in the Greatwood Hurdle at Cheltenham. The horses that finished behind have not really produced a lot since and Superb Story is 9lbs higher on Friday. Evan Williams has always thought a lot of John Constable who finished second to Sternrubin at Newbury in November. He has not raced since but is only up a couple of pounds in the handicap while the winner has since dead-heated for the Ladbroke at Ascot. Ben Pauling runs A Hare Breath here in preference to the Supreme Novices’ Hurdle. He landed a gamble at Cheltenham in November and was very impressive when winning by ten lengths at Kempton in January. Modus was also expected to be contesting one of the novice events but Paul Nicholls has decided to run here instead. He was bitterly disappointing in the Betfair Hurdle at Newbury last time out.